Life is tastier with us! 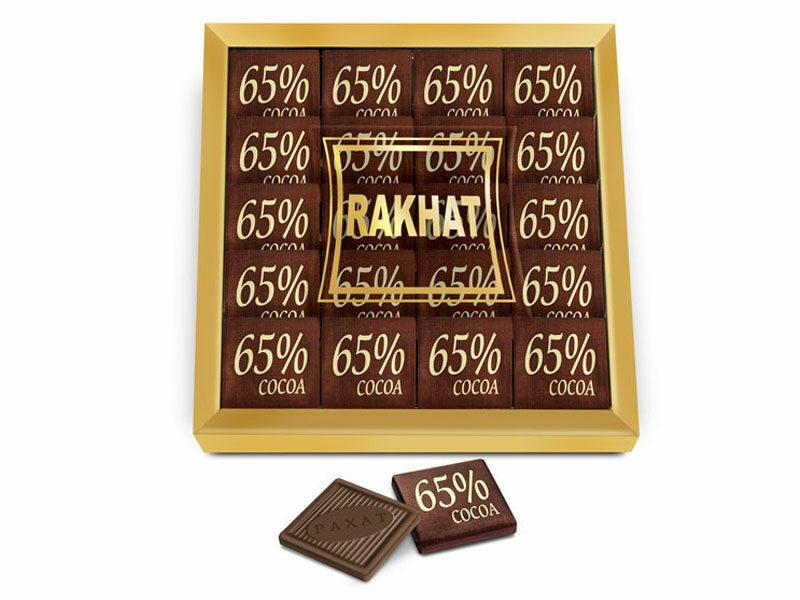 Natural bitter chocolate with high content of cocoa products (slab chocolate 5g). Ingredients: cocoa mass, sugar, cocoa butter, cocoa powder, emulsifier: soy lecithin, common salt, extract of natural vanilla is intensifier of taste and smell. Percentage of cocoa product is not less than 65 %. Store at temperature (8-23)°С and relative humidity not grater than 75%.